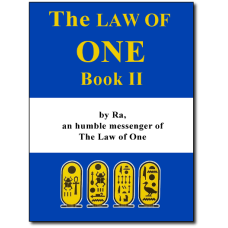 In Book Two of The Law of One, the nature of each of the densities or dimensions of this octave of creation is explored in detail, with special emphasis given to how evolution from our third density to the fourth density is accomplished. The relationship between the densities of creation and the energy centers of the body is investigated so that each experience can be used as catalyst for growth to balance and crystallize the energy centers, or chakras, of the student of evolution. Wanderers, sexual energy transfers, the physics of Dewey B. Larson, polarization in consciousness, ritual magic, and the nature and function of the Higher Self are all explored as they are related to the Law of One. Book Two contains Sessions #27 through #50. 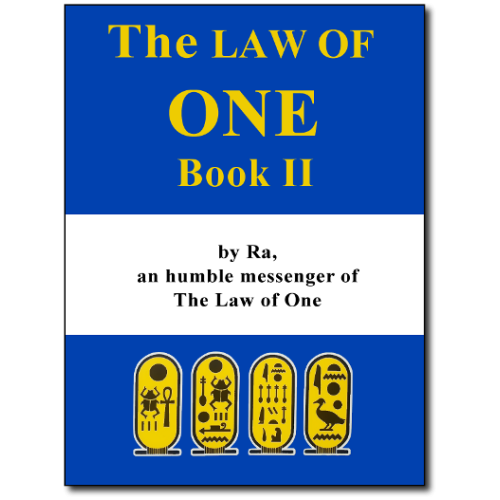 Printed versions of Volume 1 and Volume 2 of The Ra Contact.